All about the Slovenia Adventure Getaway. 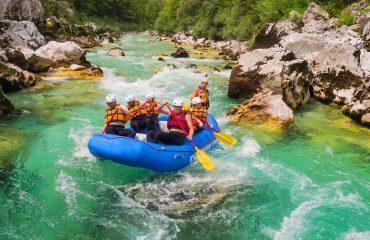 7-day multi activity holiday in Slovenia. 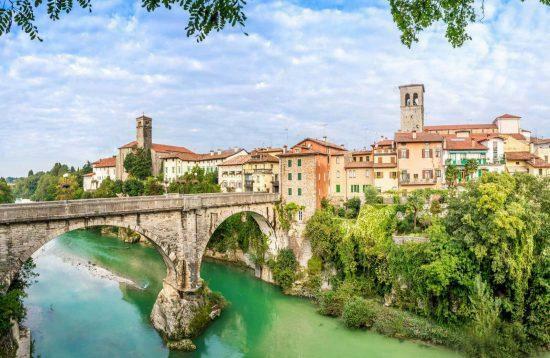 Explore the hidden gems of the mighty Julian Alps, mysterious Karst and urban Ljubljana. 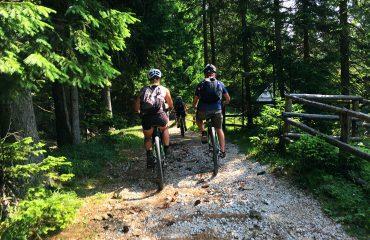 Multi activities around Slovenia, exploring the Julian Alps, Triglav National Park and Slovenian Karst. 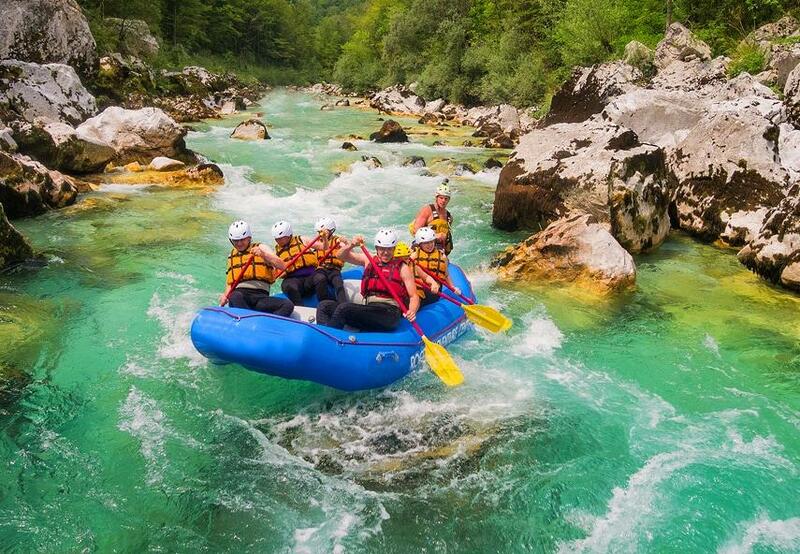 Experience the breathtaking scenery of the emerald Soča river by white water rafting on its rapids and go canyoning through one of the most beautiful canyons in Slovenia - the Fratarica Canyon. 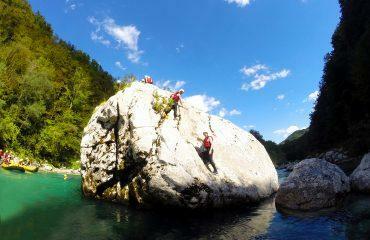 Enjoy one of a kind caving experience in the Karst region and rock climbing on the edge of the Julian Alps. 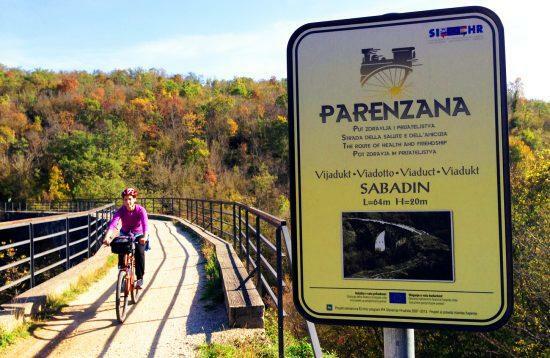 Explore Slovenia with locals and in the best possible way - an active way! 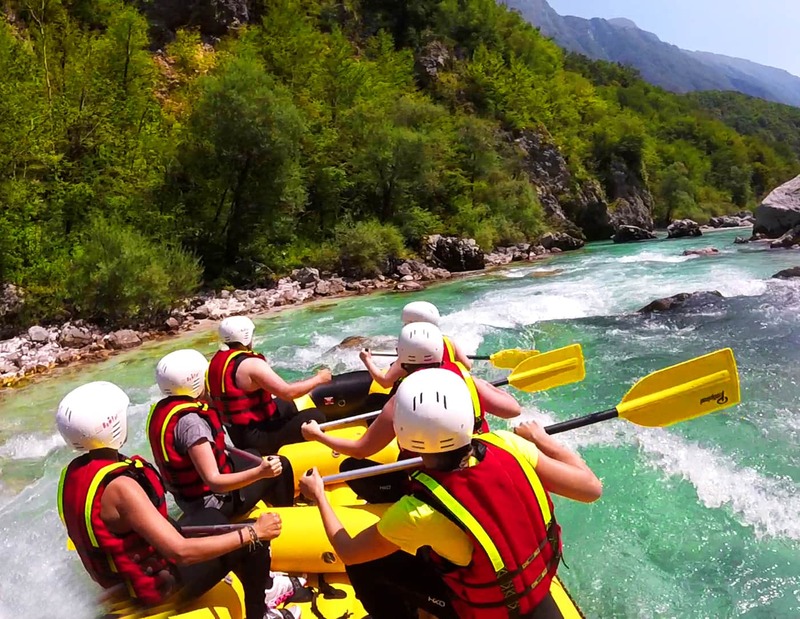 Slovenia Adventure Getaway is graded as moderate and it includes activities such as: rock climbing, white water rafting, canyoning, cycling and caving. 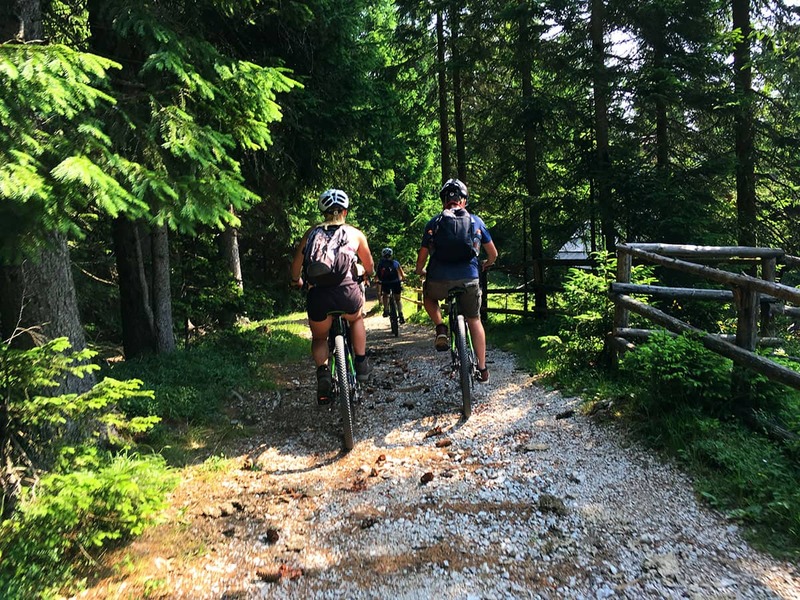 It is an active experience, which raises the heartbeat and enables one to become acquainted with the local landscape in the best possible way - discovering secluded corners of Slovenia that are hidden to most. 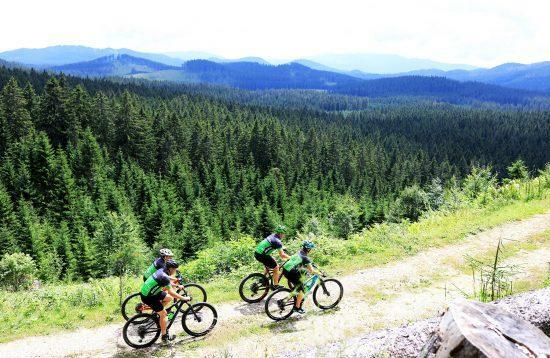 Each day is an active adventure, which takes us through the most beautiful parts of Slovenia. 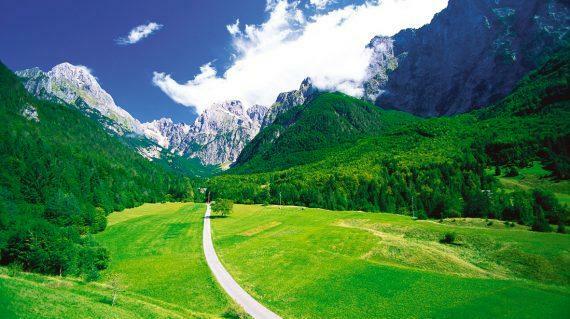 Breathtaking scenery of the Julian Alps. Rock climbing in the village of Bohinjska Bela. Cycle around Lake Bled and to Vintgar Gorge. 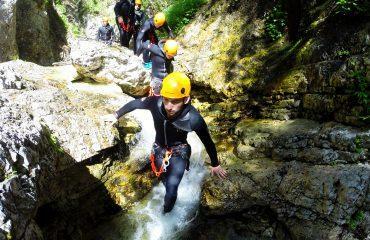 The best Canyoning in Triglav National Park: Fratarica canyon! 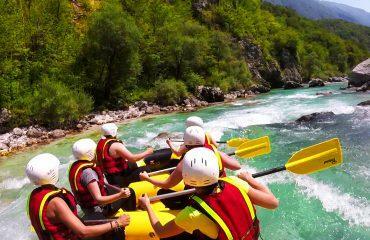 White water rafting on the emerald Soča river. Great Emerald Adventure - full-day tour. Stand-up-paddling on well-known Lake Bled. 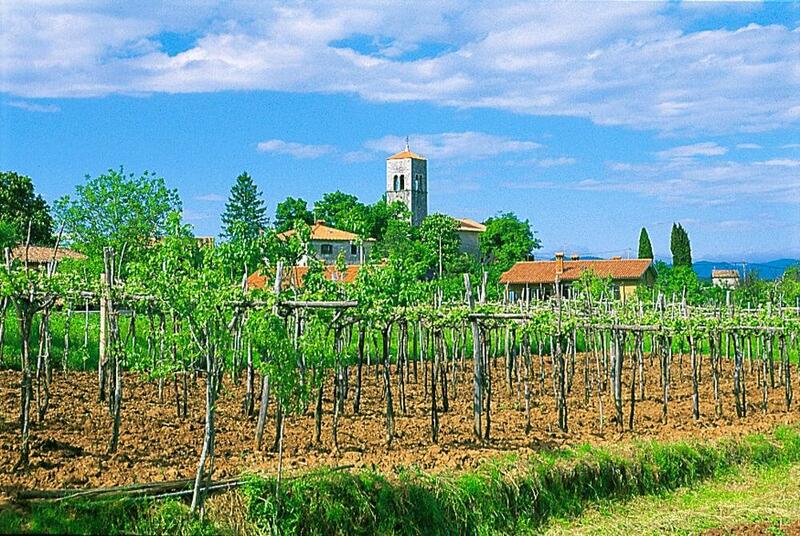 Cycle on a self-guided journey through authentic vineyards and farm towns. Wine tasting in the Karst region. Explore the Karst region’s stunning caves. Experience the Slovenian capital - Ljubljana. Date: From June 15th to September 31st. Introductory briefing on day 1 . Booklet with detailed itinerary, route instructions, train timetables and details with all vouchers. A map with marked routes. Emergency contact number and 24/7 office support. 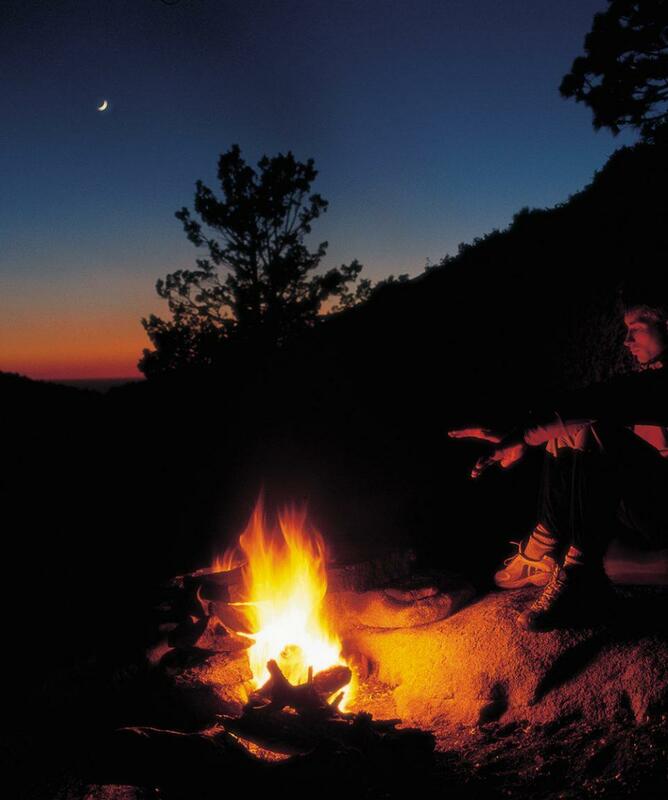 6 nights in private accommodation with breakfast. 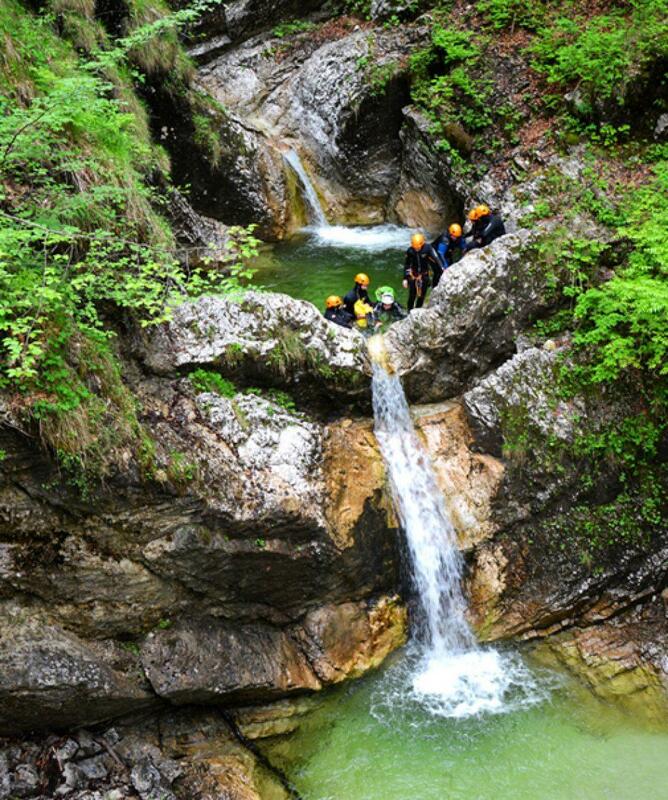 4 guided activities: rock climbing, white water rafting, canyoning and caving. 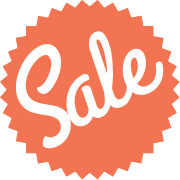 Rental of all needed gear for guided activities. 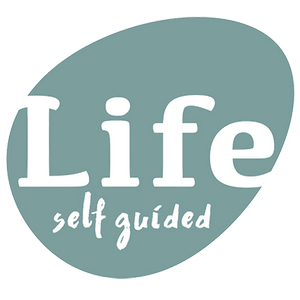 Transfers needed for all guided activities. Private transfer from Ljubljana to Bled. Train transfer from Bled to Karst region. Train transfer from Karst to Ljubljana. Rent-a-bike with helmet and lock at Lake Bled (1-day rental). Rent-a-bike with helmet and lock at Karst (half-a-day rental). Food and drinks: lunch and dinner on all days (approx. 10-15 eur/meal) and all beverages. Single supplement: Not possible. The tour can only be confirmed at min. 2 people in a group. Day 1 Arrival to Ljubljana/Ljubljana Airport and transfer to Bled (1h). Upon your arrival to Ljubljana or Ljubljana Airport, you will be picked up and transferred to your accommodation in Bled, where your self guided holidays will begin. After check-in and some rest, you will have a briefing with our staff and you will receive a self guided booklet with all needed details, maps and vouchers. We will be happy to give you suggestions on what to do at Lake Bled and answer all questions you might have. Evening free to relax or explore the town of Bled. Accommodation at a Hostel in Bled, breakfast included. 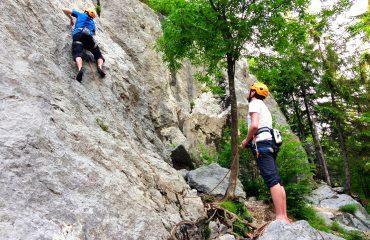 Day 2 Sightseeing of Bled and Rock climbing in Bohinjska Bela. 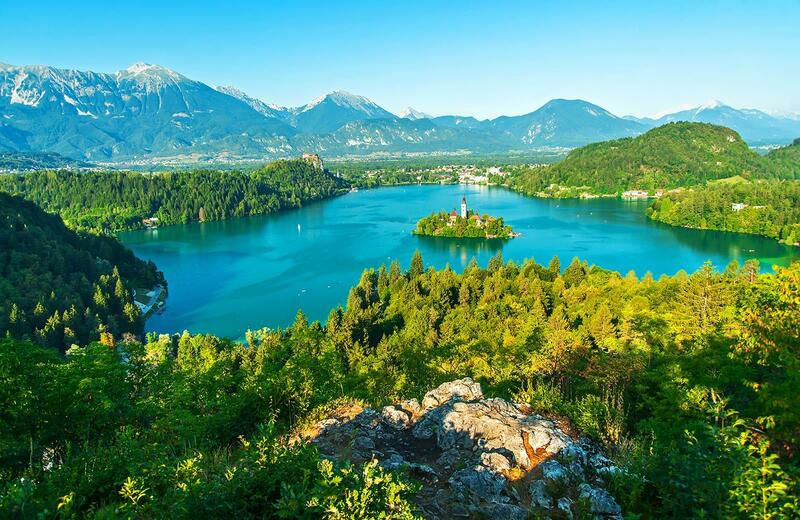 Today, after breakfast, you will have a chance to to go sightseeing of Lake Bled (Bled Castle, Bled Island by Pletna boat, Vintgar Gorge, etc.). 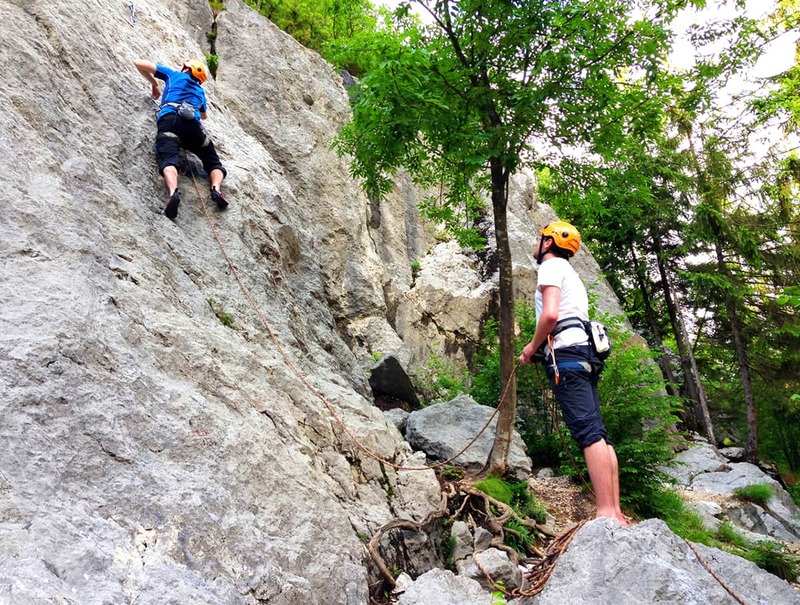 After lunch, later in the afternoon, our guide will pick you up at your accommodation and transfer you to Bohinjska Bela for rock climbing on a natural wall. The rock climbing area is one of the best is Slovenia and suitable for beginners as well as for the the experienced climbers. After the activity, a quick return to Bled for overnight and dinner. Optional: Stand up paddling on Lake Bled. Accommodation at Hostel in Bled, breakfast included. This day will be a full day of adventures in the Triglav National Park. 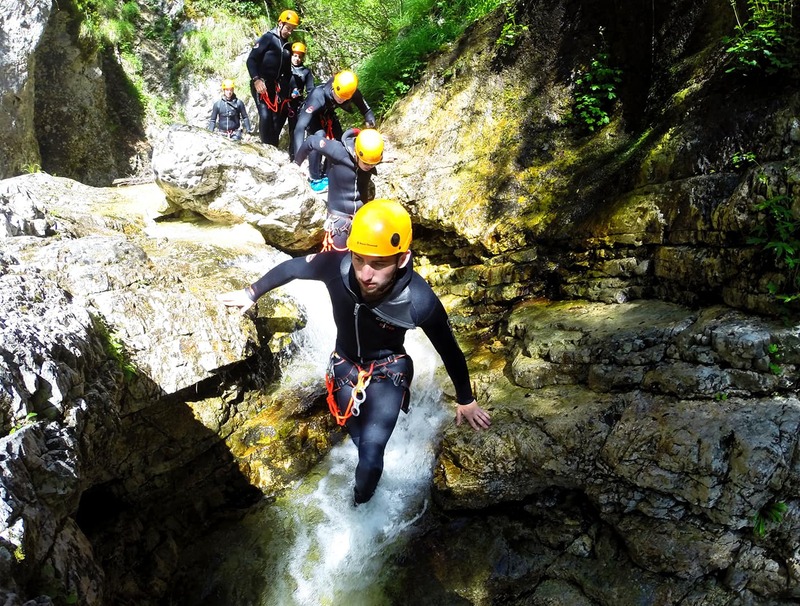 Excursion to Bovec, an outdoor town in the Soča Valley, where you will experience both canyoning in Fratarica and white water rafting on the emerald Soča River. 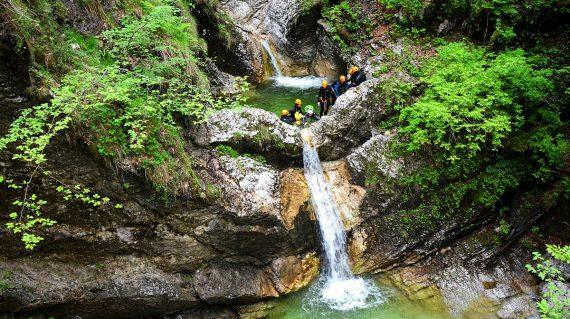 Fratarica is one of the most beautiful canyons in Slovenia and it offers spectacular cliff jumps and slides down the rocks. 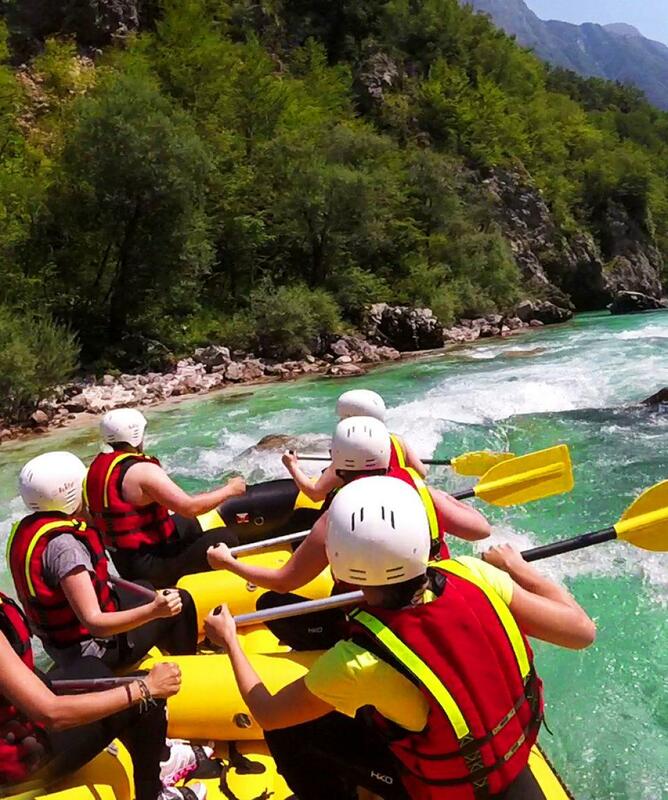 After quick lunch, you will do rafting on our Emerald pride - river Soča. The rapids go up to level IV. You will return to Bled in the late afternoon via Vršič mountain Pass, which is, at 1611 m, the highest pass in Slovenia. Day 4 Morning at leisure, train to Karst region. The morning is free for you to continue exploring Bled at your own pace. 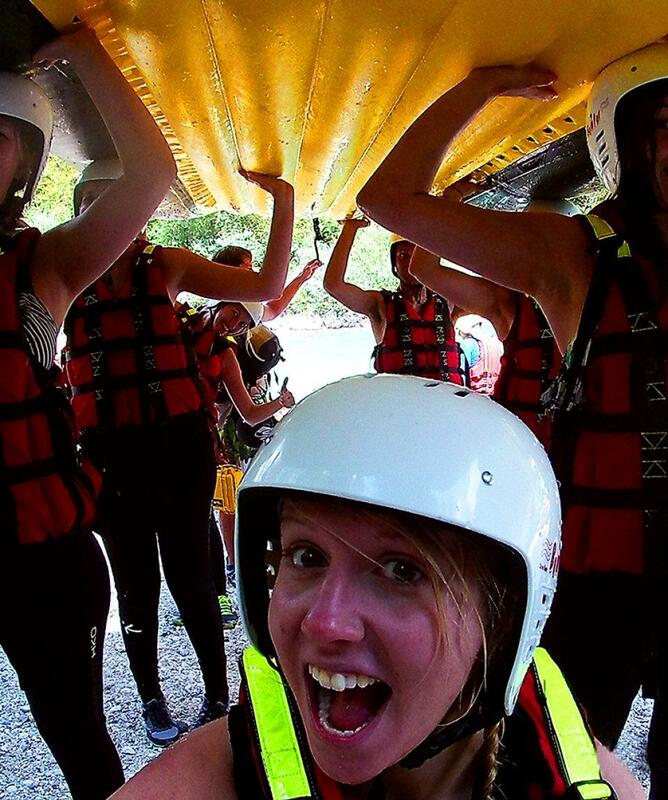 Hire a boat and explore the lake and island or cycle; the choice is yours. Later in the afternoon take a train to the Karst region. Upon arrival you will be transferred to your accommodation for the evening, a beautiful stone building oozing with character. Accommodation at Hostel in Pliskovica, breakfast included. Day 5 Cycle through Karst region (20km). The unique landscape of this region is great for exploration on bikes. 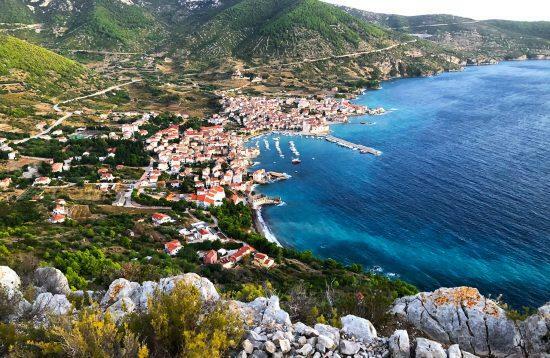 You will be provided with a bike and maps to self-guide your way past vineyards and sleepy villages to a farmhouse for lunch before returning to your accommodation in the evening. Day 6 Caving, train transfer to Ljubljana. The morning is reserved for exploring a cave in the Karst region. Under the instruction of a guide, who will carry the necessary equipment for the day, you will experience the thrill of exploring a cave the way the explorers did. In the afternoon, transfer to Ljubljana by train and evening free to explore the city's Old Town. Accommodation at Hostel in Ljubljana, breakfast included. The trip will conclude after breakfast and you will be optionally transferred to the Ljubljana Airport. Accommodation is in a combination of confortable hostel, which are comfortable with en-suite and a 3* pension at the Karst region. Day 1: Hostel in Bled / Double room with breakfast. Day 2: Hostel in Bled / Double room with breakfast. Day 3: Hostel in Bled / Double room with breakfast. Day 4: Pension in Karst region / Double room with breakfast. Day 5: Pension in Karst region / Double room with breakfast. Day 6: Hostel in Ljubljana / Double room with breakfast. What kind of equipment and personal belongings do I need to pack?What is the weather like?Do I need an insurance?How demanding is the tour? What kind of equipment and personal belongings do I need to pack? Slovenia has a period of nice and sunny weather with high temperatures (up to 35°C and sometimes even more) from late June to early September, but the weather can also be unpredictable, so we advise you come prepared: bring a few extra pieces of warm clothes (fleece or soft-shell jacket, long pants and shirts with long sleeves). All activities included in this program are appropriate for beginners. It is advised clients know how to swim. Non-swimmers are required to notify us at the time of booking.